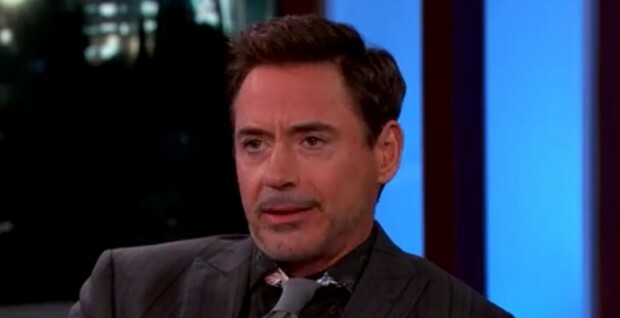 Last night, Robert Downey, Jr. appeared on Jimmy Kimmel’s ABC talk show and, well, proved why he is Tony Stark. Highlights include his appraisal of Tom Holland playing the new Spider-Man, and his willingness to appear in Spider-Man Homecoming. And in true Tony Stark fashion, he posits a whole new subplot for that Spider-Man film involving Marisa Tomei’s Aunt May. If nothing else for that reboot, her casting does bring up a lot of potential dramatic tension that never existed in the movies before: Aunt May DATES.